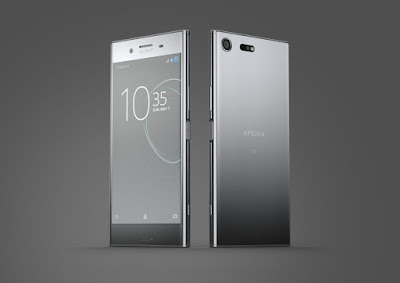 Last year we have seen Sony wow us with the introduction of the Japanese company's first mini phone: the Xperia Z1 Compact, a smaller version of its flagship Xperia Z1 with high-end specs. 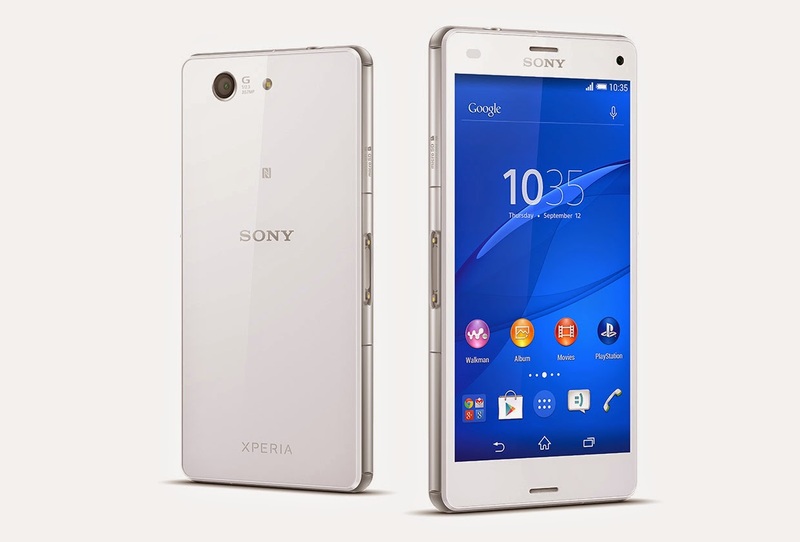 This year, the follow up of the its predecessor, the Xperia Z3 Compact is no exception. The Xperia Z3 Compact was announced alongside with its bigger sibling, the Xperia Z3 at IFA 2014 in Berlin. 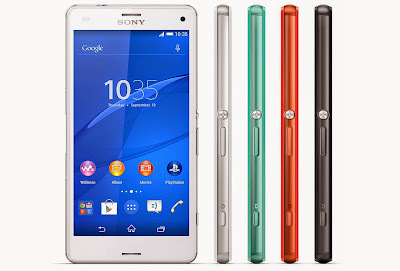 The Xperia Z3 Compact features a nearly specs as the flagship, however it has a smaller 4.6 inch HD 720p display and 2,600 mAh battery. Aside those differences above, the new Compact device is a powerful mini smartphone. It comes with the same 2.5 GHz Quad-core Snapdragon 801 CPU, 20.7 MP Exmor RS rear camera (25 mm wide-angle G Lens), 2.2 MP front shooter and the highest waterproof rating of IP65/68. This 4.6-inch phone also sports the dual front facing stereo speakers, Digital Noise Cancellation and Digital Sound Enhancement Engine (DSEE HX) technology. Other specs included 16 GB of internal storage, microSD card slot (support up to 64 GB), 2 GB of RAM and runs on Android 4.4. 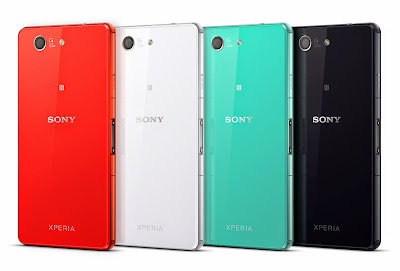 The Xperia Z3 Compact will available in four colours: Black, White, Orange and Green. It will has a rounded liquid reflection (plastic) frame with tempered glass panels. The device is only 8.5 mm thick and weighs 129 grams, which is slimmer and lighter than the Z1 Compact (9.5 mm, 137 grams). 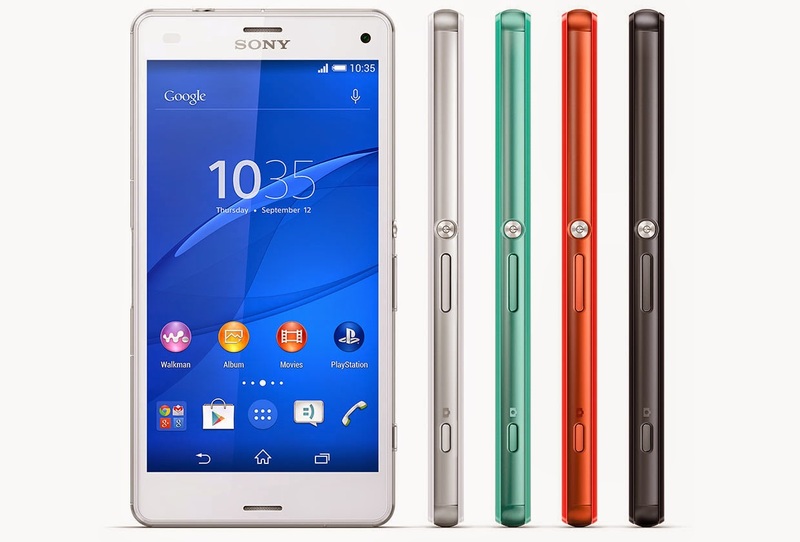 UPDATE: The Xperia Z3 Compact is now available in Malaysia alongside the Xperia Z3, priced at RM1,899.